Sad news for comedy fans. 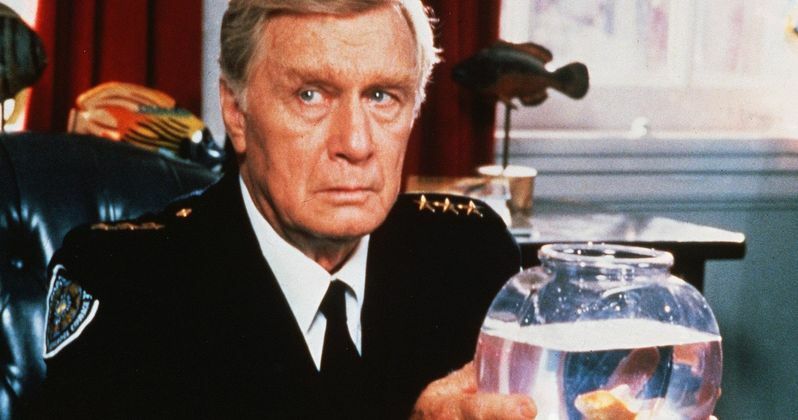 The great George Gaynes has passed away at the age of 98. The actor is best remembered as the grouchy father figure on Punky Brewster and the dimwitted commandant Lassard in the Police Academy series. He also had a memorable role as the soap opera star with a crush on Dustin Hoffman in Tootsie. George Gaynes's daughter confirmed his passing this past Monday. The actor died at his daughter's home in North Bend, Washington. George Gaynes had a versatile career, appearing in hundreds of TV episodes over the years, working in both comedy and drama. He also appeared in over 35 feature films and made for TV movies, along with appearing in a number of plays, musical comedies and operas in both the United States and Europe. While he became a very familiar presence to viewers around the globe, he never managed to reach leading man status. The actor was 67 years old when he took on the role of Henry Warnimont in the 1984 sitcom Punky Brewster. The show ran for four seasons, starting on NBC and ending in syndication. He played the foster father of an abandoned little girl played by Soleil Moon Frye. Henry would eventually become the girl's adoptive parent. The role came after two of his most prominent film roles. He first to rave reviews in the 1982 Oscar winning comedy Tootsie opposite Dustin Hoffman, Jessica Lange, Teri Garr, Dabney Coleman and Bill Murray. He played a misguided would-be paramour in hot pursuit of his leading lady, who he does not realize is a man. In 1984, he would assume the role of commandant Lassard in Police Academy. He would go onto appear in all 7 movies, as well as the live-action TV show. George Gaynes hailed from Helsinki, Finland and was born George Jongejans in 1917. While he didn't come from a long line of Finish actors, his uncle Gregory Gaye did play a Nazi Reichsbank official in Casablanca. The young George grew up in France, England and Switzerland, and was introduced to opera at a young age by his mother's friend, Russian basso Feodor Chaliapin. He would go onto study in Mulan, Italy and France before his acting career was cut short by WWII. On duty, He crossed the Pyrenees and was interned in Spain for three months. He was later released and enlisted in the Royal Dutch Navy. After the war, he headed to New York, where he joined the New York City Opera and played Figaro, Leporello in Don Giovanni. He would go onto perform in many plays during that time. He also appeared in many Broadway productions throughout the 1950s. In 1953, he legally changed his name to George Gaynes and married Allyn Ann McLerie, who survives him. Along with his wife and daughter, he is also survived by a granddaughter and two great-granddaughters. His only son Matthew passed away following a car accident in 1989. George Gaynes retired in 2003 and moved to Santa Barbara, California. He would later move to Washington to be close to his daughter. He last appeared in the 2003 movie Just Married starring Ashton Kutcher and Brittany Murphy.